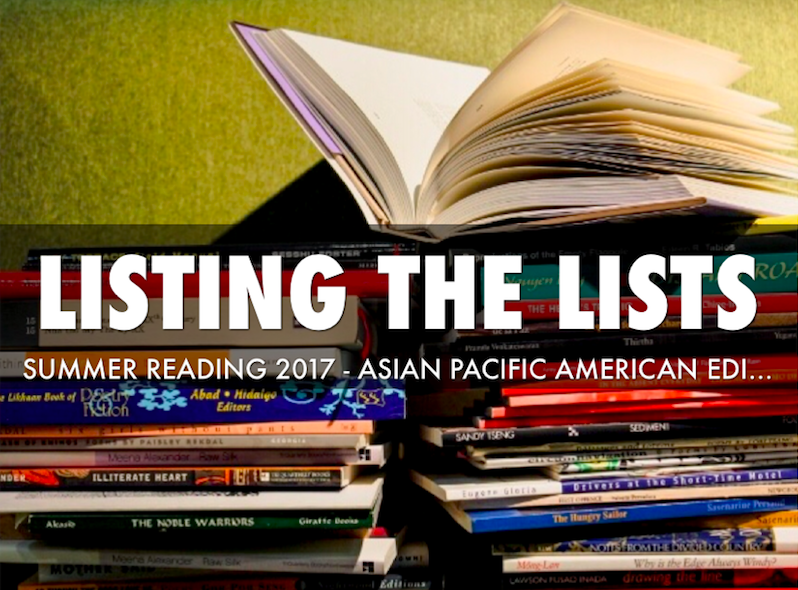 Because it’s the last day of Asian Pacific American Heritage Month, and because the last few days have been filled with lists of Asian Pacific American Writers that you should be reading, here is a list of what I thought were well-curated lists and author features on this topic. It also helps that friends of mine were featured on these lists, and some of these lists were written by friends. If you’re looking for things to add to your Summer Reading Lists, please consider picking books and authors recommended in the links below.